On September 1st, 1969 Muammar Qaddafi along with a group of officers part of the Free Officers Movement staged a bloodless coup d’état against King Idris I of Libya who at that time was in Greece undergoing medical treatment. The coup was staged in the city of Benghazi and was over within two hours. Qaddafi was careful not to promote himself to general after seizing power but rather ceremoniously adopted the promotion to colonel. With the help of the newly created governing body the Revolutionary Command Council, Qaddafi nullified the monarchy and declared the new Libyan Arab Republic a free and sovereign state. Qaddafi was a controversial figure both internationally and domestically. He initially advocated pan- Arab nationalism along with Arab socialism which was polarizing towards the West. However, later Qaddafi began to seek better relations with the West as well as supporting pan- African integration. In 2011 Qaddafi was ousted from power during the Libyan Civil War and later captured and extra-judicially executed by the anti- Qaddafist National Transitional Council. George M. Lane was Principal Officer to the Libyan Embassy Branch Office in Benghazi. Lane managed to witness Qaddafi’s rise to power first hand and unwittingly met Qaddafi himself at the TV station at which his coup d’état began. He was interviewed by Richard Nethercut beginning in August 1990. Read about the 1986 U.S. bombing of Libya. Go here to read another perspective about Qaddafi’s coup. LANE: At thi s time King Idris was on the throne in Libya. And King Idris’ basic home area was Cyrenaica, the area where Benghazi and Baida are located. So when the government sort of moved to Tripoli partly for political reasons, and partly for, I think, sentimental reasons, he maintained Benghazi as a co-capital and started building a new capital up in the so-called Jebel Akhdar, the Green Mountain area. So there were really three capitals in Libya at this point. The Ambassador and the main part of the Embassy were in Tripoli, where they had always been. 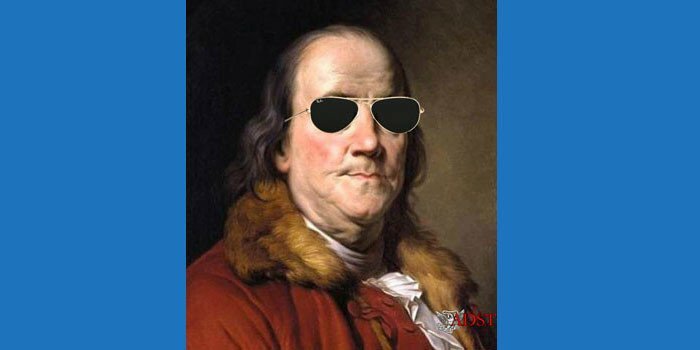 But technically, rather than being a Consulate, Benghazi was a branch Embassy, as was Baida where there was one officer…. 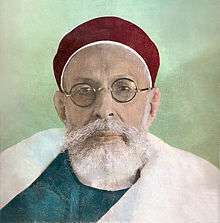 Under King Idris the people running Libya were really the Shalhi brothers, the two sons of the man who had been the Number One counselor and adviser to King Idris, and who had been murdered by other members of King Idris’ family. He was so angry when they assassinated his adviser Ibrahim Shalhi, that he made these two sons — rather than exile them — he made them his favorites. So that the Crown Prince, who was a nephew, was largely ignored and these two brothers were almost running the country. One of them was a colonel in the Signal Corps — a colonel in the Libyan military — he ran the Signal Corps; and the other one was really Mr. Five Percent, who had a finger in every commercial, economic deal that was going on in Libya. And there were a lot of them at that time because, of course, oil had been discovered in 1956, I think, and the oil boom was really going at this point in 1968. Armand Hammer, and Occidental Petroleum, was very active. It was not only the majors, it was the independents, and they were all going full blast with the oil business. Then King Idris, in the summer of 1969, went off to take the baths in Turkey — in Bursa, I think. Everybody thought that these two young men, Omar and Abd al Aziz Shalhi, were going to pull a coup, and then the King was going to abdicate, and they would take over the government. 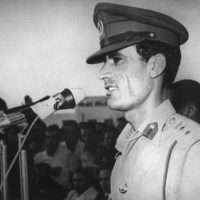 Apparently a 27-year-old First Lieutenant, Muammar Qaddafi heard this rumor also, so he decided to move up the timing for his coup which he’d been thinking about doing ever since he’d been in the military academy. And so, on the first of September, 1969 there was a sudden — I guess you’d have to call it a coup d’état — simultaneously in Tripoli and Benghazi. And for two weeks nobody knew who was in charge. Qaddafi was very shrewd, and he knew that if he immediately announced that as a 27-year-old First Lieutenant he was taking over the country, opposition would spring up everywhere. So he passed the word initially that somebody else was behind the coup — spread a rumor — that it was a Libyan colonel, who was — I think he was then the Libyan Military Attaché in Rome — who was then on vacation. When the world press tracked him down he said he didn’t know a thing about the coup, he didn’t know what they were talking about. But by spreading this kind of rumor, Qaddafi gave himself some time, and him and his revolutionary command council primarily, Abd Al Salam Jallud, who was number two, succeeded in arresting, or nullifying all the possible areas of opposition. So he was able to take over the country. This is the first of September, 1969; from the first of September until about the 15th nobody knew who was in charge. Many of us diplomatic corps in Benghazi were meeting with somebody who had been a Lt. Colonel, we could tell, but he’d ripped all the insignia off his uniform when he met with us because those ranks, of course, no longer meant anything as far as the new revolutionary government was concerned, plus, of course, as we learned later, he outranked his leader, and you can’t have that…. It’s funny, my first contact with Qaddafi was an interesting one. On the morning of the revolution, they, of course, announced a curfew, and they had taken over the TV station — in modern revolutions the first place you have to take control of is the TV stations, and that’s where the revolutionary command council was meeting. So I decided I’d better go down there, and see if I couldn’t get a pass which would enable me to move around during curfew hours because there were a lot of Americans working in eastern Libya in the Benghazi consular area in the oil fields. Tripoli was the headquarters for the American oil companies, but Benghazi was the headquarters for the roughnecks, and the guys that did the work in the oil fields, and if any of them got in trouble in this rather dicey situation, I was going to need something that would enable me to move around. So I drove down through innumerable fourteen-year-olds with Kalashnikovs trying to figure out what I was doing, to the headquarters of the TV station. And there was a first lieutenant standing out front directing traffic, and I went up to him and explained in my best Arabic who I was, and what I wanted, and that I needed to go inside, that I needed to get a pass so that I could move around and take care of American citizens, that was my responsibility as the man in charge of the Embassy Office in Benghazi. He said, “Yes, my name is Muammar Qaddafi.” And it was as I found out later, it was Qaddafi himself who was out directing traffic, and, of course, keeping an eye on what was going on, while the people, who were really his subordinates, were inside trying to make policy for the new Revolutionary Command Council. But very soon after that, Qaddafi, who had been in the Benghazi area during the coup — he had run the coup in Benghazi, and Jallud had run the coup in Tripoli — but very soon after that Qaddafi moved to Tripoli, where he took over the government, and started negotiating with Joe Palmer who was our Ambassador there at the time…. So I didn’t see Qaddafi very much in those nine months after the revolution because I was still in Benghazi, and he was in Tripoli. But, of course, it affected our operations enormously. During the time when King Idris was on the throne, U.S. and Libya had very close relations. I think frankly our CIA people were declared to the Libyan government, which, of course, caused all sorts of consternation when the revolution took place and Qaddafi’s people took over control of the files of the Libyan government. You can imagine some of the brouhaha that went on as a result of that. But after Qaddafi’s revolution came in, of course, then the Americans changed very quickly from being the Number One friend, to the Number One enemy. Because Qaddafi was motivated very much by two things: by a sense of Arab socialism as personified by Gamal Abdel Nasser [Second President of Egypt], who was his absolute hero; and a little bit of Islamic revivalism fundamentalism in the great tradition of the Arab reformers who sweep out of the desert to sweep away the corrupt people in the cities. You can see this in Morocco with Ibn Tunbal, in Saudi Arabia with Muhammad Ibn Abd Al Wahhab, and even in Libya with the Sanoussi. That was really a part of the Sanoussi movement. I claim to be one of the original Qaddafi watchers, and I’ve, of course, been fascinated by keeping track of him ever since 1969. I’ve been in other countries that he’s visited, and in other places where it’s been fairly easy to keep track. Qaddafi, of course, is not crazy. I really find it sad that leading American politicians, and commentators, like to call our enemies crazy. It’s an intellectual cop-out. If you don’t want to spend the time and energy to think about why he’s doing what’s he’s doing, and what are his motivations, then you just sit back and say, “Well, he’s nuts.” And that means you don’t have to think about it. Well, of course, from Qaddafi’s point of view, he’s erratic. He does some unusual things; he’s not your average man. Your average man doesn’t make a coup when he’s 27 years old. He’s a very unusual character. But to say he’s crazy is an intellectual cop-out. As you know, he spent years trying to figure out ways to unite Libya with other countries to build a unified Arab state. He initially tried to unify immediately with Nasser’s Egypt, and I suspect sometimes the Egyptians wish they’d taken him up on it, because they could have swallowed Libya very fast, I think, if they’d played their cards right. 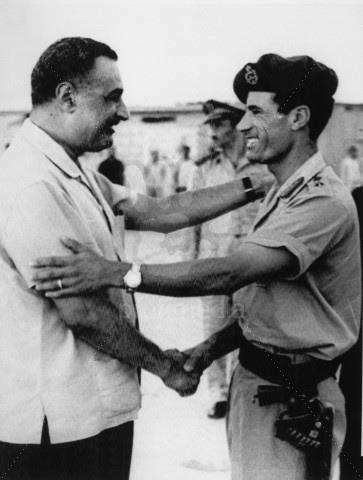 But, of course, Nasser died in 1970, and then Qaddafi sort of went off on his own trying to unite his country with various other Arab countries, trying to push himself as the heir of Gamal Nasser’s, the only true believer, the one who is carrying the flame for Arab nationalism, the only true supporter of the Palestinians. One of the reasons that he attracted so much attention in the United States was that the American media made such a play for him. 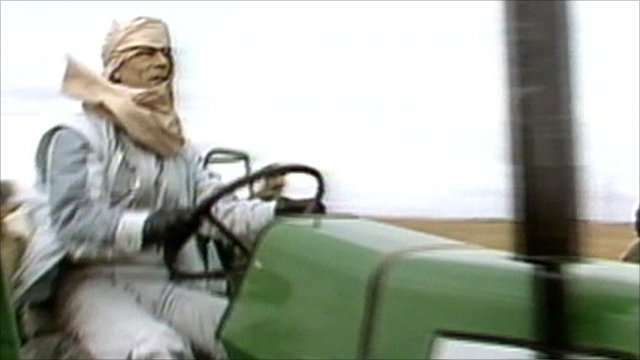 I can remember pictures of Ted Koppel, or some such person, interviewing Qaddafi as he drives a tractor through some part of Libya plowing up the soil to create a new green area. He loved that sort of thing. He got a lot of publicity, and he made a lot of outrageous statements. And that raid on Libya did not stop his support for what we called terrorism. What it did was to stop him from talking about it. I think that’s what he learned; that is, it’s silly to shoot your mouth off all the time because then you attract attention. There was an article in the Christian Science Monitor just a couple of weeks ago saying there’s considerable evidence that Qaddafi’s support of terrorism is just as strong, or more so, in the last three years than it was before that raid on his headquarters, which killed some innocent people, and some people in the French Embassy, as I recall. Q: There is considerable interest in the links that Saddam Hassan in Iraq has had with both Yasser Arafat and with Muammar Qaddafi. Is there a historical dimension to that? Is that a triangle, or a mini-alliance, that has had some historical roots? LANE: I don’t think so. I think that’s a marriage of convenience, if you can call three people getting together a marriage. But it’s a question of; the enemy of my enemy is my friend. The thing they all have in common is that they’re all opposed to the United States. It stems from it [Israel], basically. The United States is the Number One supporter for Israel. If Israel is your Number One enemy, then you’re looking around for somebody else who has the same enemy that you have. And that’s what they have in common…. I was the Libyan Desk Officer for a while and the Algerian Desk Officer for a while. As far as Libya is concerned, this was a period where under the monarchy Libya had bought a number of C- 130s, and the U.S. didn’t want to send them to Qaddafi because, of course, we had immediate problems with Qaddafi over the evacuation of Wheelus Air Base. He threw out the Peace Corps, which was very prominent in Libya before that. He was doing a lot of things that the U.S. Government didn’t like. So the U.S. Government tried to find ways to avoid sending these airplanes that the Libyans had bought and paid for, to Libya. And the Libyans, of course, very much wanted them. So this was one of the issues that were on top of the agenda. And we had never done that before, so the issue became whether or not the United States was going to put an Arabic stamp in American passports so our people could go in and out of Libya, or whether we were simply not going to send any more people to Libya. And eventually we put the stamp in the passport. Dr. Kissinger decided we’d do that. So we did.